The title of this post was the question of a debate I attended yesterday at the Three Counties Showground in Malvern, Worcestershire. The Three Counties Farming Conference brought together George Eustice MP (Farming Minister at DEFRA), Stuart Agnew MEP (MEP for the East of England and UKIP’s agriculture spokesman), Mike Gooding (Managing Director of FAI Farms Ltd, Oxfordshire) and Graham Redman (Research Economist and Partner at The Andersons Centre) to debate the European question and, as expected, there were some strong opinions put forward. Following four twenty minute presentations from each of the speakers, delegates of the conference were able to put forward their questions to the panel. Before the evening European debate two highly topical presentations were given by Nuffield scholars, Kate Adams and Sophie Edenborough. Kate’s ongoing investigation probes in to the issue of soil preservation across the world and questions how a will to preserve soil is instilled in farmers. Sophie, who has now completed her Nuffield investigation, looked in to the need for antibiotics in the broiler industry. I had managed to get hold of a student ticket for just £9 (the benefits of being a student once again!) so, with dinner included, the event was fantastic value for money as well as being highly thought provoking. MARKET – Access to market is everything and we would be mad to leave the largest single market in the world and then have to negotiate our way back in or face trade tariffs. REGULATION – My cynical mind tells me that levels of regulation would not decrease following a transfer of power from Brussels to Westminster. POLICY – I believe that in terms of demographics British farmers are better off receiving policy from Europe, where the rural vote is stronger, than London, where the rural vote (and rural understanding) is much weaker. If you look at DEFRA budget cuts this signals how food, farming and the environment are valued in relation to other departments in the UK. This does not mean that I don’t believe Britain could survive outside the EU – of course we could – but from a rural perspective I do not believe that farming will be supported as much on a proportionate level. This view could yet change, but I am yet to hear a convincing argument putting forward a plan as to how a British agricultural policy would work post Brexit. During the Three Counties debate I disagreed with a lot of what Stuart Agnew said (which I will get on to) but a major point of which I agreed with him is that the Conservatives need to give the British public an idea of what a British agricultural policy would look like outside the EU. It’s surely only fair for us to vote knowing, at least to a degree, what the alternative would look like. Outside the conference hall were a number of trade stands (including a particularly good ‘try the cider’ stand and some incredibly good cheeses!) 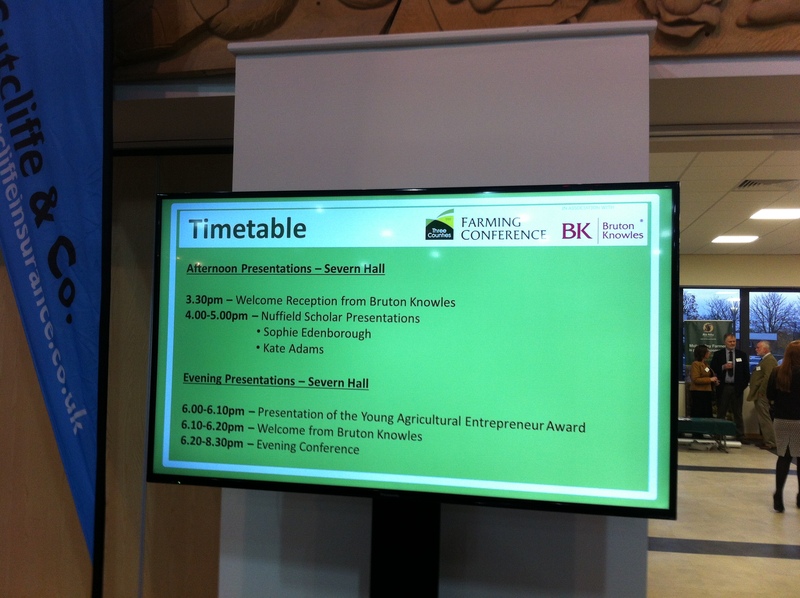 and in between the afternoon and evening sessions I spoke to a number of stalls, including the National Farmers Union. 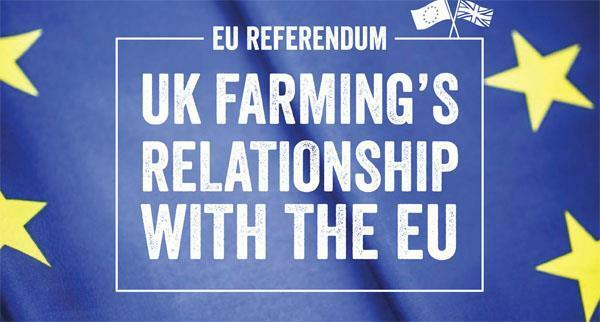 The NFU have recently put together a 22 page document which considers the UK farming industry’s current relationship with the European Union. I don’t always agree with the NFU’s position on matters but here they have created a really useful document and I encourage you to read it (electronic copy available here). They do not yet have a ‘yes’ or ‘no’ stance ahead of the conclusion of David Cameron’s renegotiation (quite sensible I think – despite me already having an opinion sometimes I wonder if I could do more to understand the Brexit argument) but do assess the pros and cons of Britain’s existing relationship with the EU. The NFU representative who I was speaking with suggested his personal opinion at present was to stay as there are too many unknowns. I think that this is probably the position of many voters currently and it is usual in referendums for voters to favour the status quo (as we saw in Scotland last year and as George Eustice made sure to mention in his presentation last night). If there was a referendum tomorrow how would most people vote? Base: GB adults (n=1,009). Changes in brackets are from June 2015 when the question asked was “If a referendum were held tomorrow on whether the UK should stay in or leave the European Union (EU), how would you vote? ‘Stay in, Leave, Don’t know’. What were the positions of the four speakers? Graham Redman – Largely against leaving the EU. GR took a position that whilst the UK could certainly become more competitive, on average, the risks outweighed the potential gains. George Eustice MP – slightly confusing (typical politician) – openly Eurosceptic but pro Cameron’s renegotiation of membership and I get the impression he will support DC all the way. Made it clear that his greatest wish is to simplify the regulation and that ‘the gold plating does not come from DEFRA, it comes from the European Commission auditors’. Nonetheless, it seemed to me his speech was more of a pro-Conservative broadcast than an engagement with the question. Mike Gooding – Against leaving the EU – Made it clear that access to market is everything for farmers and he believes that this will be strongly compromised in a Brexit scenario. He does not believe the burden of administration would be less and agrees with my point above that perhaps the EU places agriculture above other issues as opposed to Westminster. Stuart Agnew MEP – Strongly for leaving the EU (perhaps obviously!). I was prepared for Mr Agnew to present strong views during the event and he certainly lived up to expectation. From milk quotas to neonics to greening and Romanian dogs, he covered a huge variety of material during the twenty minutes available to him. As already suggested the key positive from his speech was a call to put pressure on Mr Eustice, Mr Cameron and the rest of the Conservative party to lay out a vision for an alternative Britain (if indeed Cameron fails in the renegotiation). Apart from that I struggle to take any climate change sceptic seriously in the wake of the sea of evidence that comes out of the IPCC and wider scientific community. Issues as diverse as free trade, land values, subsidies, regulations, demographics, CAP, markets, culture and pesticides were all discussed at some point throughout the evening. One of the key problems however, and I have the used the word several times in this post, is the word BELIEF. Perhaps unanimously all of the positions argued by the speakers or put forward from the audience or in the dinner afterwards were based on ‘belief’. We are not able to objectively analyse our positions because nobody has a crystal ball and knows what the true reality of a Brexit scenario will be. It would certainly help however if, perhaps following the renegotiation, the Conservatives suggested how things would change in the scenario of a ‘Vote Leave’ result, to enable voters to make a more balanced judgement. It is a slightly different situation to the Scottish vote in that, in Scotland, although there were still unknowns, the SNP and Yes campaign were able to present some ideas of how Scotland would change. The exit of trident is one good example of this. When it comes to the Europe question there are so many unknowns and no alternative drawn out for us. The question posed in the title, ‘Do UK Farmers Need the EU’ can probably be answered in two different, yet linked, ways therefore. In truth, I would say that UK farmers do not need the EU to survive (depending on the business). However there is one thing that isn’t good for business and the economy and that is ‘unknowns’. We need to know an alternative vision to make an objective judgement and certainly, at this stage in time, this is not available. 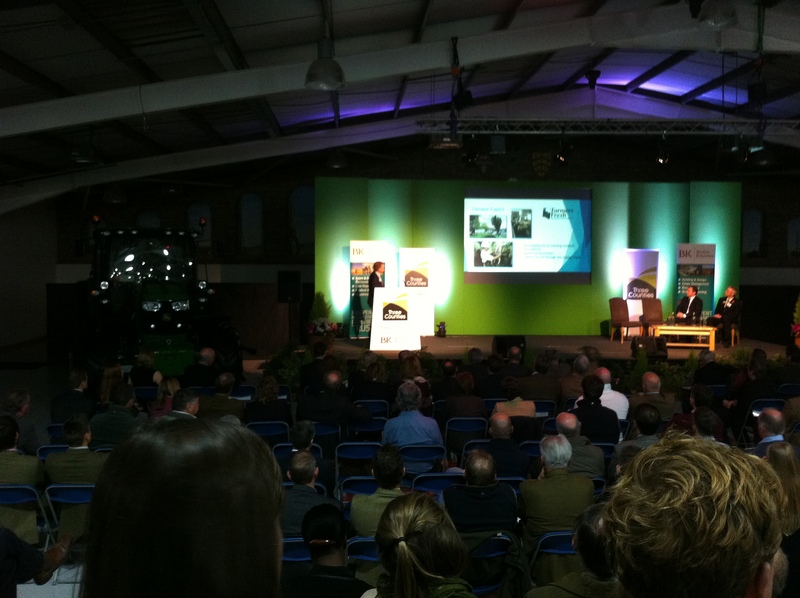 I want to thank the organisers of the Three Counties Farming Conference for putting together such a superb event and I hope to attend future conferences. 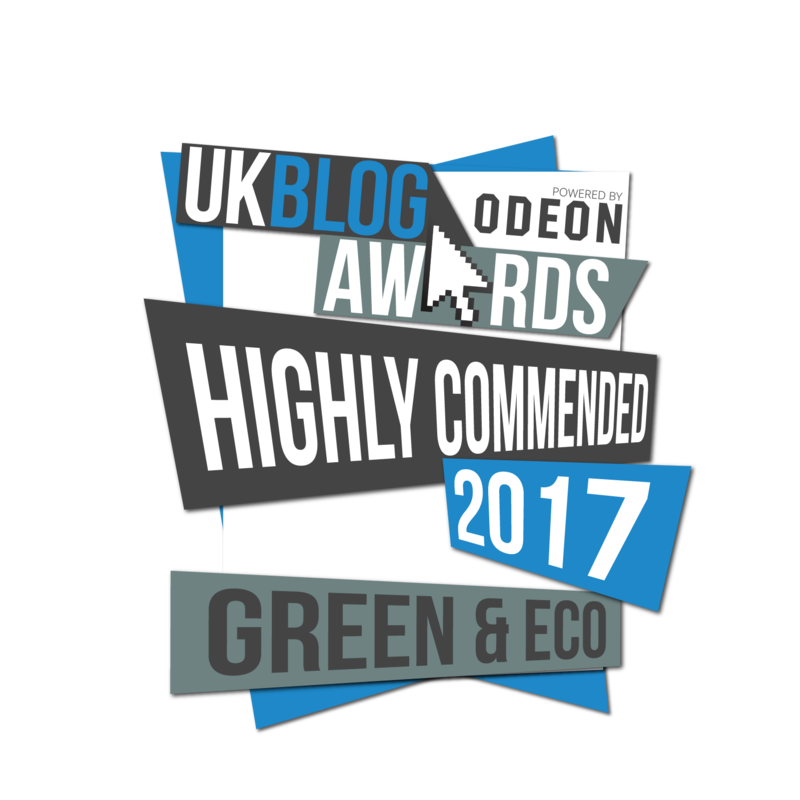 Perhaps the conference has raised more questions than it has answered but, on balance, I maintain my ‘Vote to Stay’ opinion. Until I can be fully convinced that a vote leave scenario would be better for British farmers and producers this will be my opinion. Of course farmers will be voting with other hats as well as their farming and business heads and perhaps these other, ‘non purely agricultural’ issues can be explored in future posts. I would really like to know your own viewpoints at this point in time, both for or against, either in answer to the question ‘Do UK Farmers Need the EU’ or on the broader question of whether the UK should leave the EU for all sorts of other reasons. Please comment below. Have you heard any conversation about potentially dumping the EU and petitioning to join the US?? We have considerable experience with an Island state, speak the same language (almost 🙂 ) and if one tries lots of other benefits become obvious. On the negative side the monarchists on your side might suffer extreme discomfort, and parliamentarians might likewise be put off. Our ag sector is pretty robust. Just a thought.